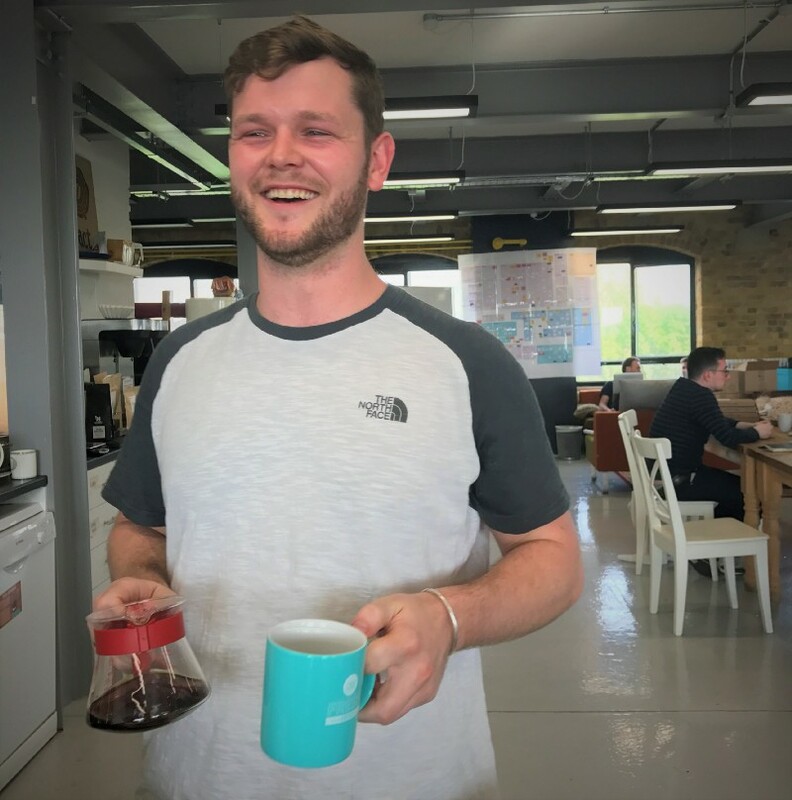 In celebration of London Coffee Week, Patrick, the head of Wholesale at Pact Coffee, shares an expert lesson in how to brew the best cup using two of the most popular home brewing devices. Welcome to the ultimate V60 vs. Aeropress showdown. 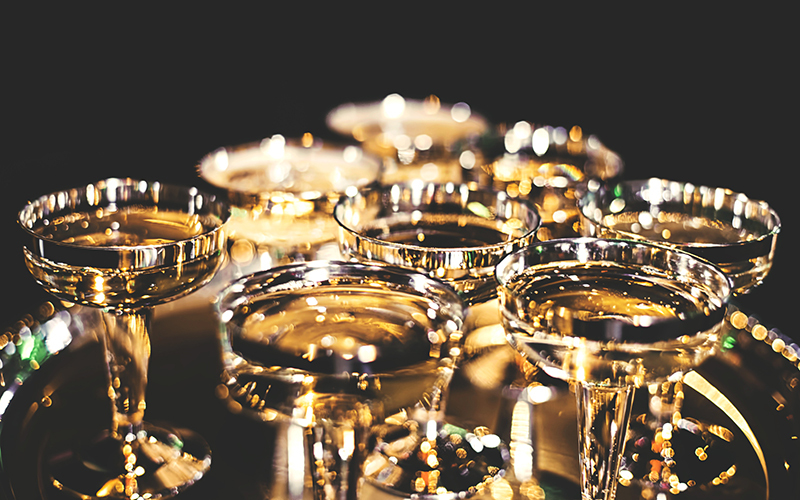 The V60 was created a decade ago by a Japanese company called Hario who specialise in heat resistant glass. It’s called the V60 because the cone is slanted at a 60 degree angle. You can pick up a V60 as little as £5 and it should come with a 16g coffee spoon. 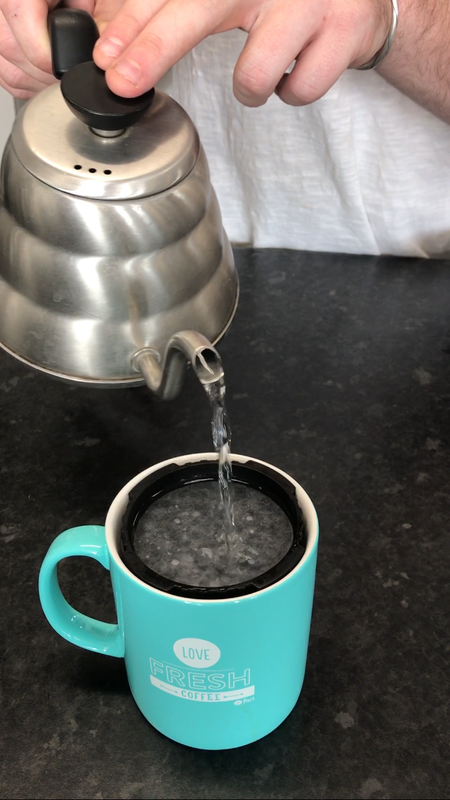 Boil your kettle and pour hot water over the filter paper without the coffee grains, and allow the water to fall into your cup below. 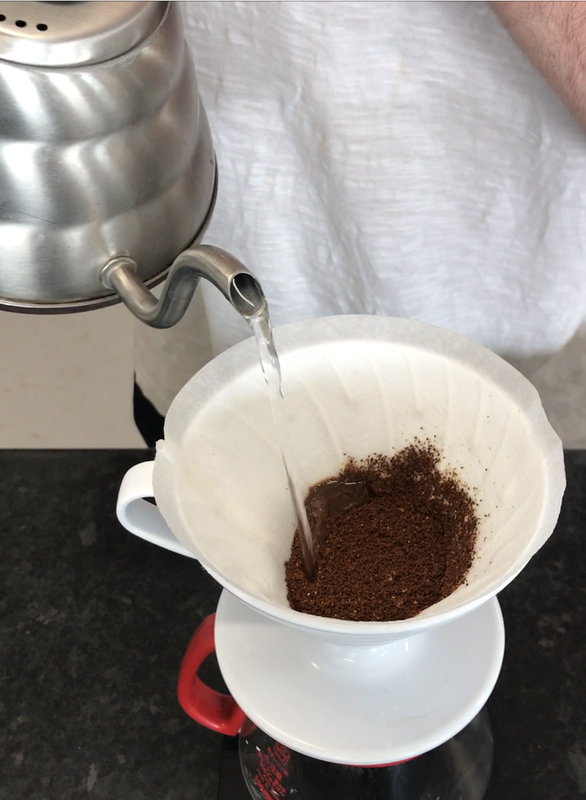 This process removes any residue paper particles from the paper which can spoil your coffee and also heats up your cup in anticipation for the coffee. 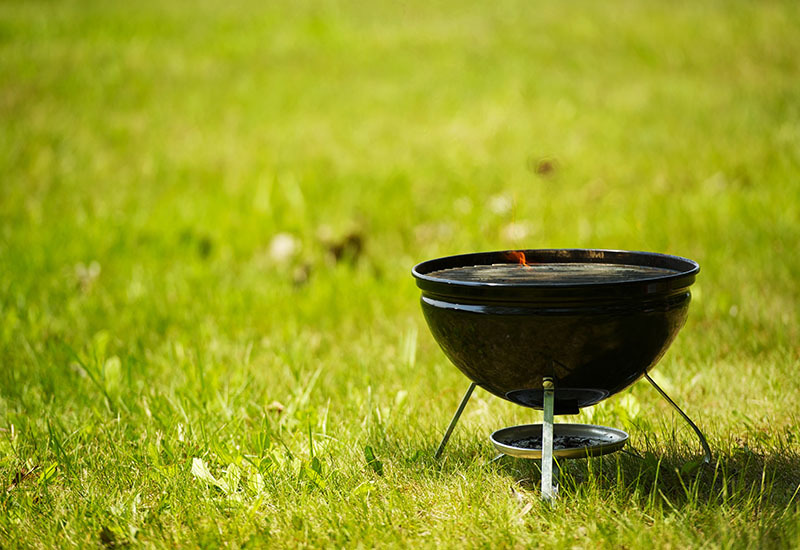 Once this process is complete your water should be around the perfect temperature — somewhere between 80 and 93 degrees centigrade. What you don’t want to do is pour boiling water straight onto your coffee because it will burn it. 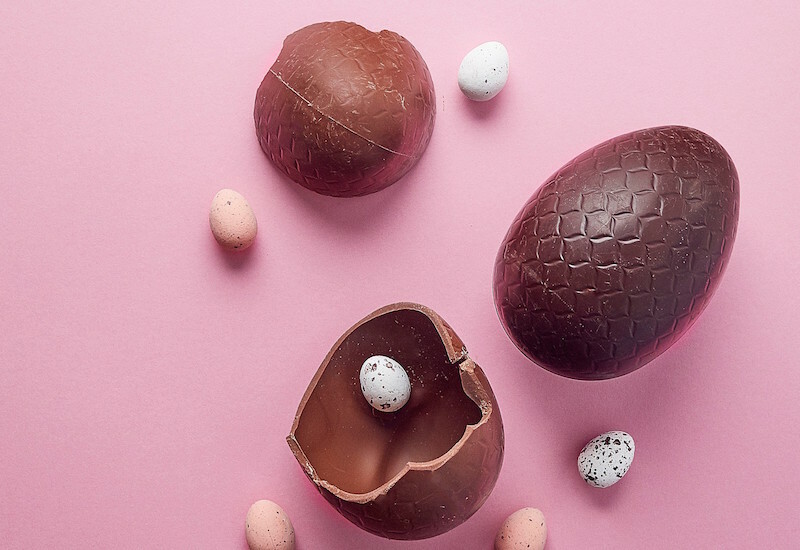 Your tastebuds won’t reward you for it either, as they only work at milder temperatures, which is why ice cream has so much sugar in it to create flavour. 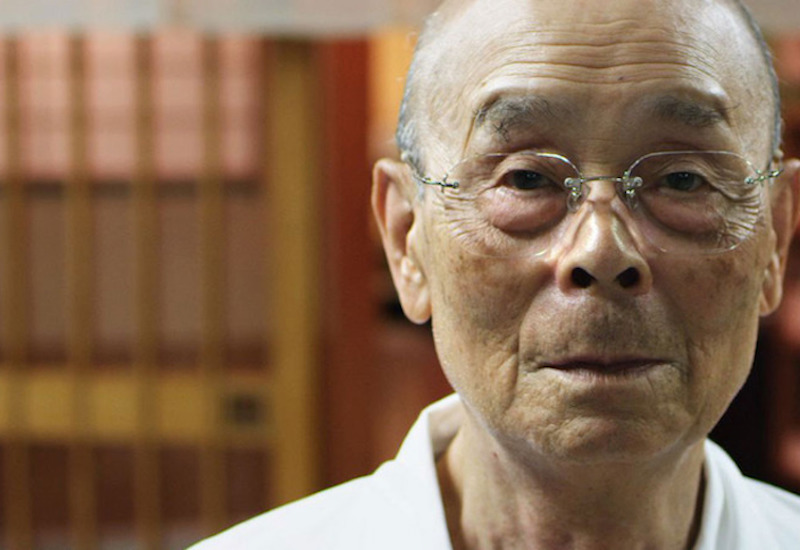 How much coffee you put in is dependent on personal taste. As a general rule of thumb, for every 250 ml of water you should use anywhere between 15 to 20 grams of coffee. These ratios are set by speciality coffee associations and are designed to give you the most flavourful cup. The spoon provided by Hario is 16 grams, so you can use one scoop of coffee per cup. Make sure you throw away the hot water in your cup that you used to clean the paper. Pour about 20% of the total water you want to use on the coffee grounds to allow the CO2 to escape from the coffee and to create a nice flat bed that ensures an even extraction. Leave it for 30 seconds. According to Patrick at Pact, this stage of the process, otherwise known as the bloom period, is often neglected but crucial for making a good cup because it releases the CO2 that is built up in coffee after it has been roasted. Pour your hot water in concentric circles, making sure that any coffee that rises to the top gets a good dousing of water. The more water you put on top, the heavier and slower the extraction process, so aim for having around 1 cm of water above the coffee grinds. 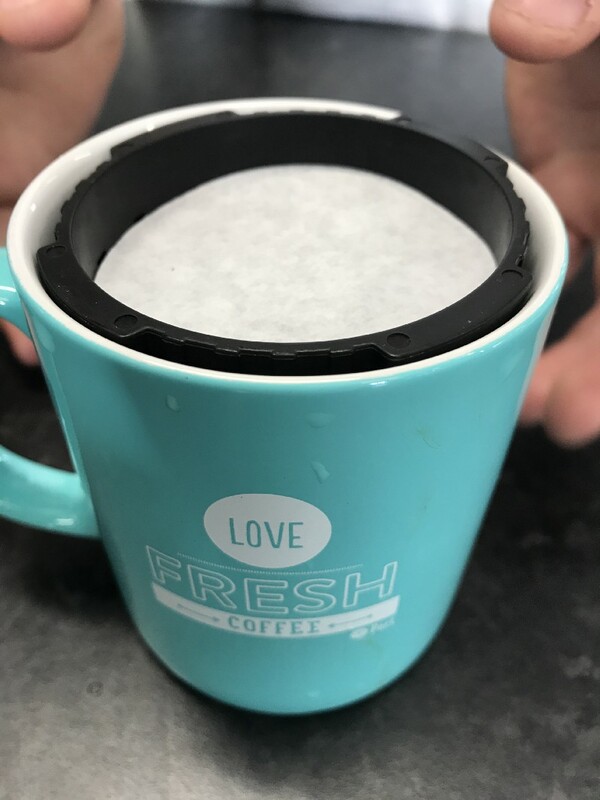 Avoid pouring straight into the middle or pouring around the edge of paper because it will limit the amount of contact time your water has with the coffee. Once finished, you will want to see a flat bed of coffee across the top to show that you’ve made a levelled extraction. 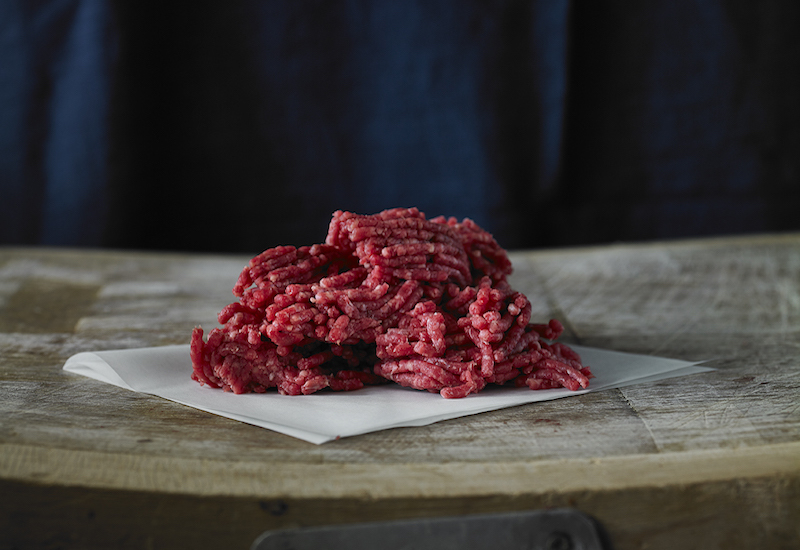 The extraction process should take around 3 minutes. The Aeropress was invented by Alan Adler, the same guy who made the Aeropie frisbee. Alan was frustrated that he couldn’t make an espresso at home without buying a very expensive coffee machine. And while it was originally used for making espressos at home, coffee-heads quickly found that it was the most consistent way to make a coffee. This is because the Aeropress involves a ‘total immersion technique’: all the coffee touches all the water, at the same temperature, and for the same amount of time. This Aeropress guide uses the inverse method which is what allows for full immersion. 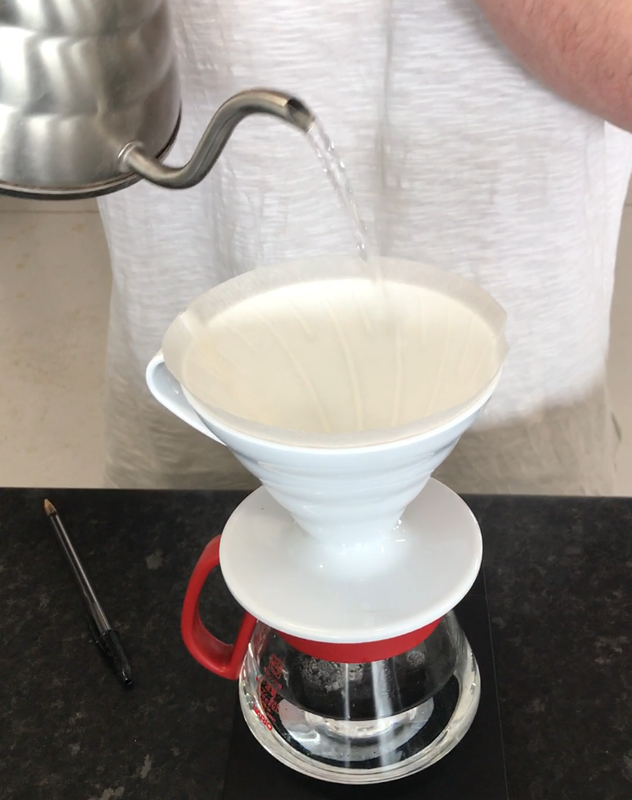 Place your paper in the plastic filter in the top of your cup and just like with the V60 wash the paper of any residual paper bits. Washing will also let the paper stick to the head so when you flip it later it won’t fall out. Fill up your Aeropress scoop with coffee grinds. 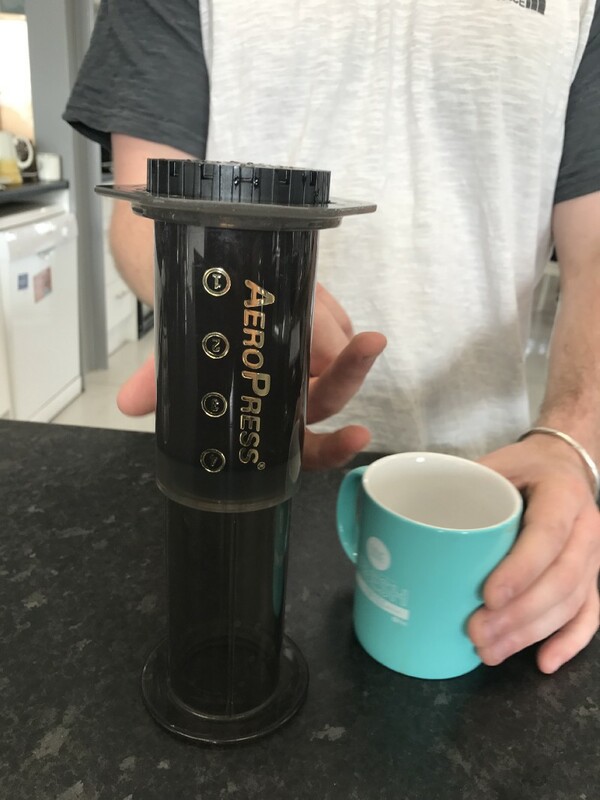 Be careful when you put it in the Aeropress to avoid getting it into the hinges of the cylinder as this will stop you from adding the plastic filter. 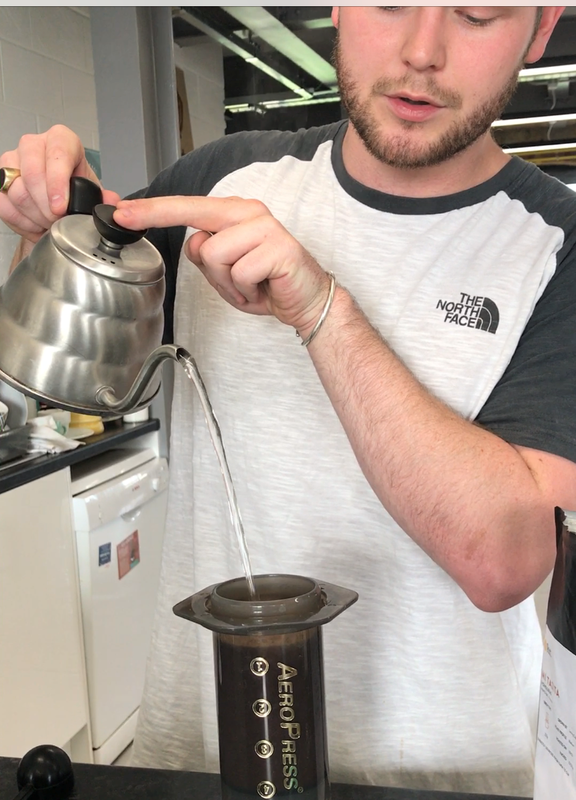 Once your water is at the desired temperature, pour up to half way (measurement of 2 on the cylinder) and allow the coffee to bloom. 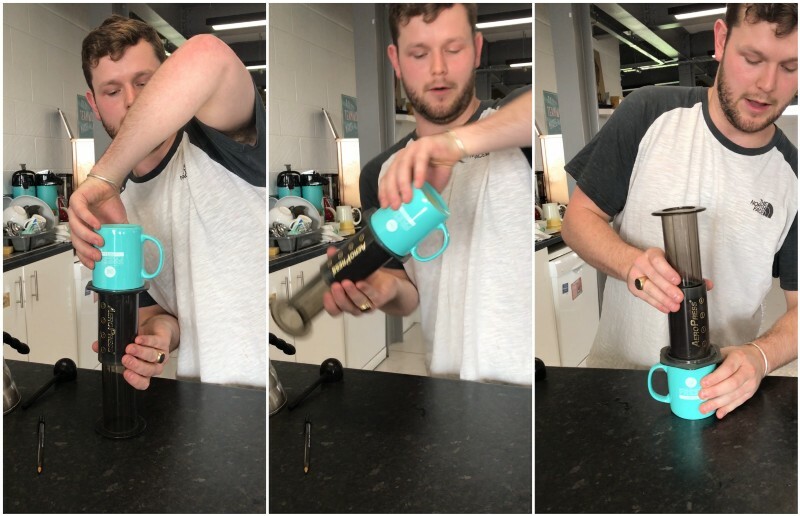 Give it a stir by turning the aeropress scoop upside down — Patrick says it’s better than the stirer provided by Aeropress and helps to minimise washing up! You want the Aeropress to brew for a total of 1.5 minutes. 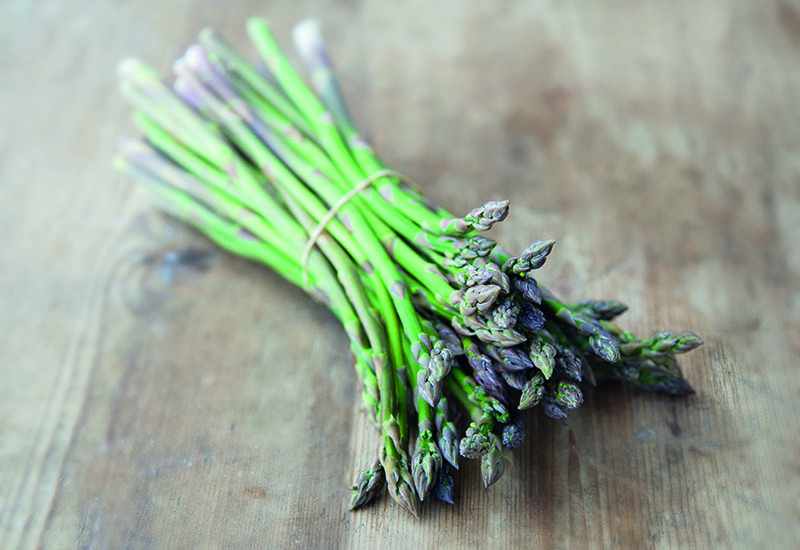 After blooming for 30 seconds add the remaining water and allow to brew for a further minute. Once your brewing time is up, close the seal with your plastic filter, flip it over and then apply as much pressure as you want. Again people have different techniques (slow, hard and/or fast) but Patrick goes for the simple method of ‘plunging as hard as you can’. 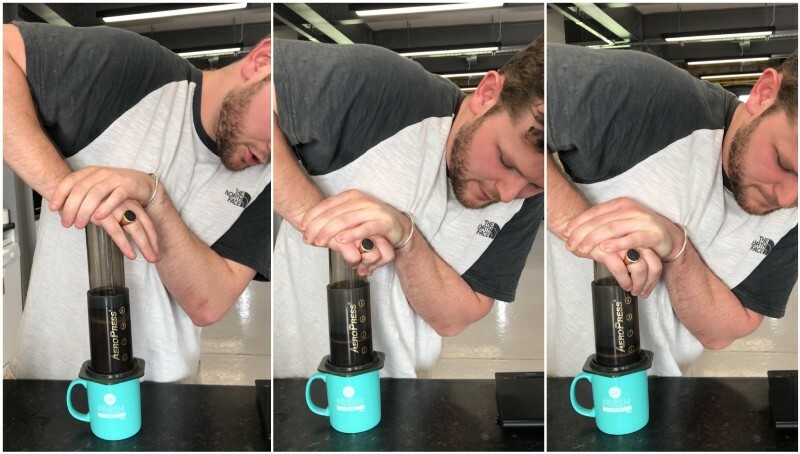 After you’ve extracted the coffee, turn the Aeropress upside down, remove the filter and then slide down the plunger to make it easier for you to remove the waste coffee. The results are in: V60 brew (left) and AeroPress brew (right). 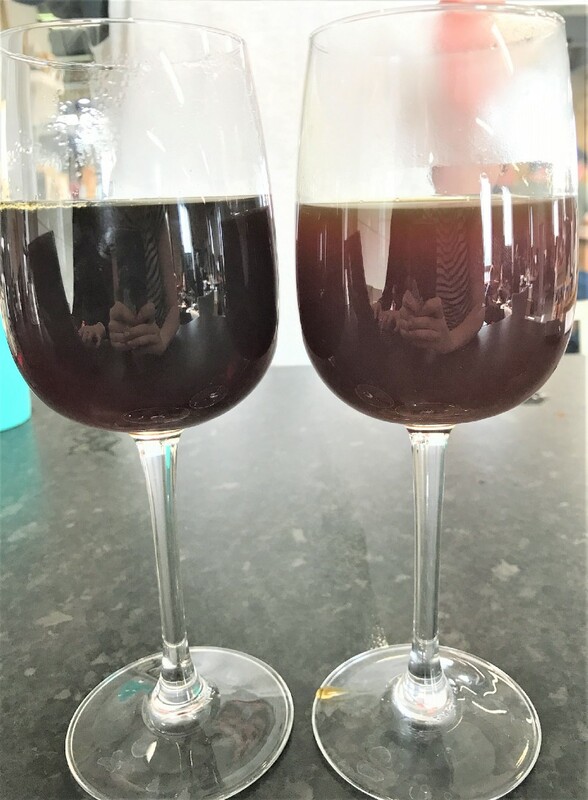 As you can see from the photos, there is a huge difference in colour and translucency between the two brewing methods. 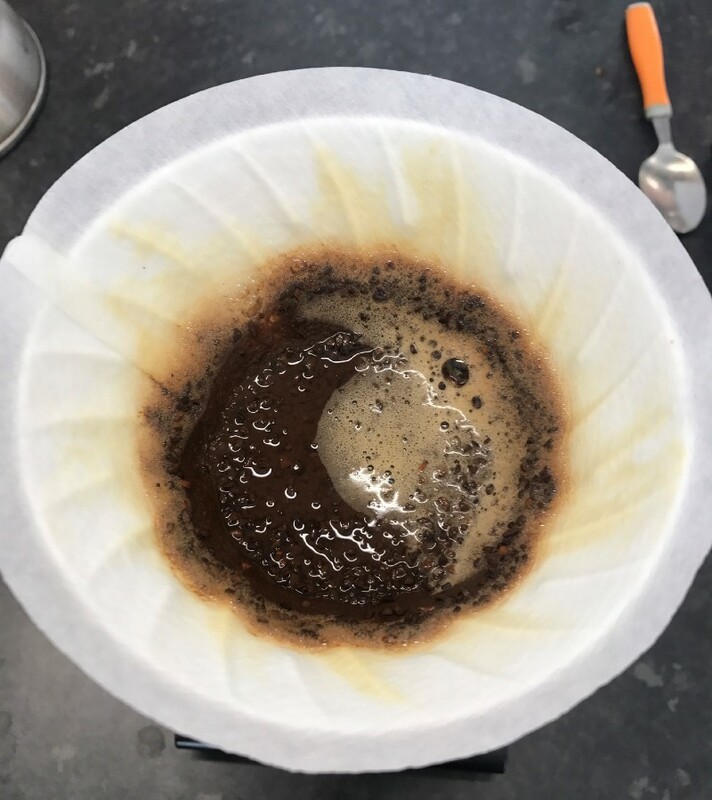 The V60 is less cloudy because there is less opportunity for the grounds to seep into your cup. 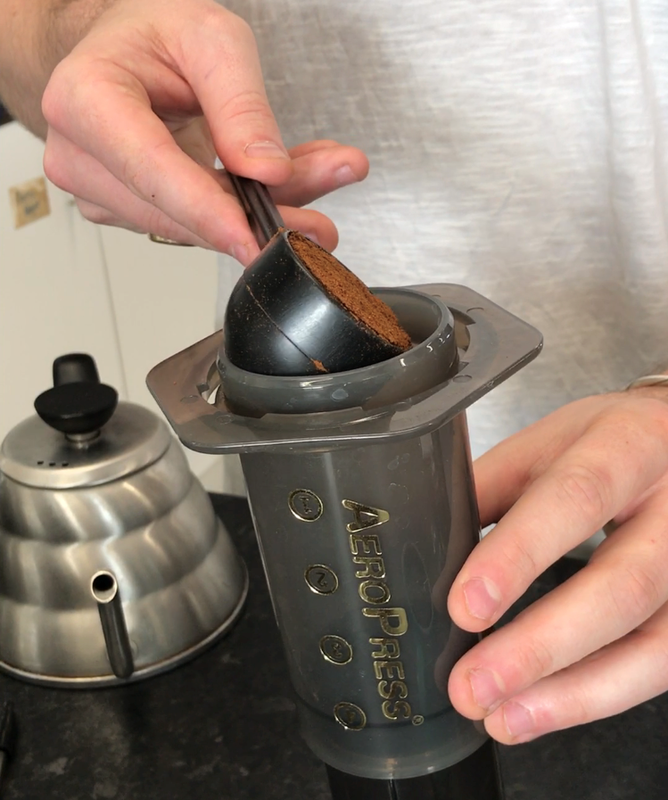 The Aeropress by contrast involves a lot more applied pressure and the gaps in the side of filter can allow more coffee particles to escape into your cup. 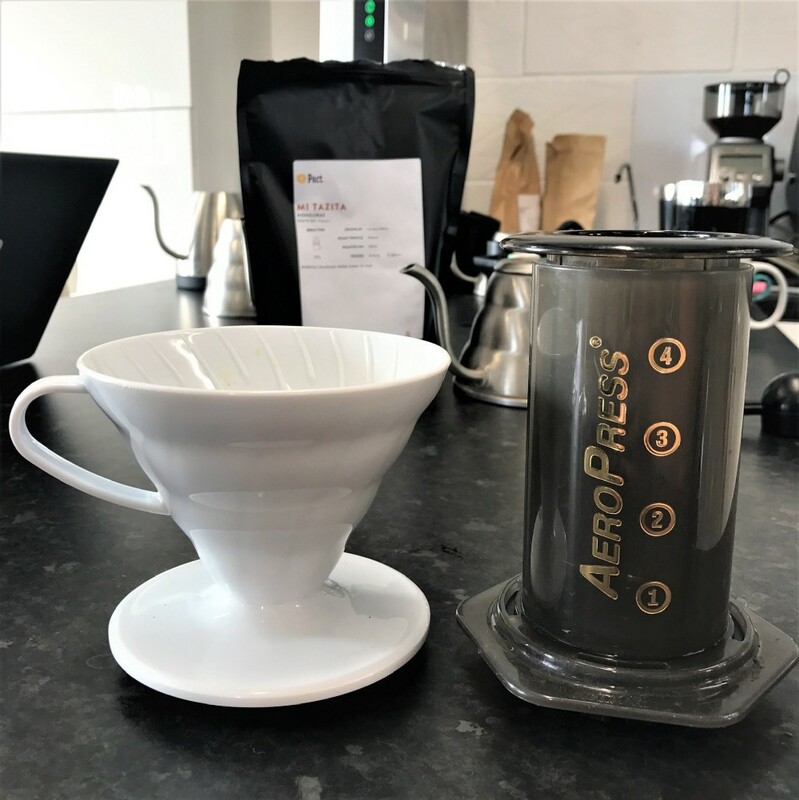 Whether you want to use the V60 or the Aeropress is down to personal taste. The V60 makes more coffee but you have less control of the brew time and heat can escape out of the top. The Aeropress allows you to control all the different factors involved in the brewing time in a more precise way. 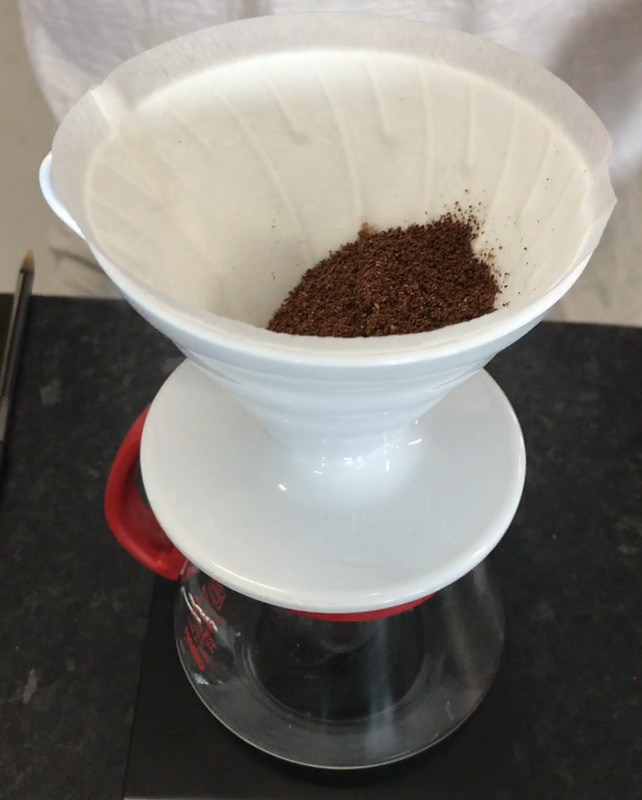 Patrick says you can also play around with lots of the variables to create different flavours and recommends using different recipes to get your perfect cup. 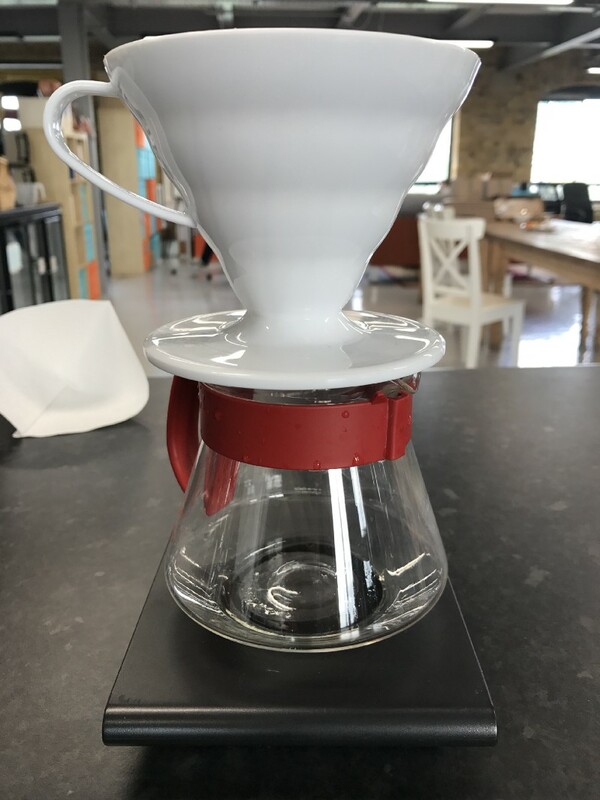 Try Brew Methods for Aeropress recipes and for the best V60 recipes visit Prima Coffee. 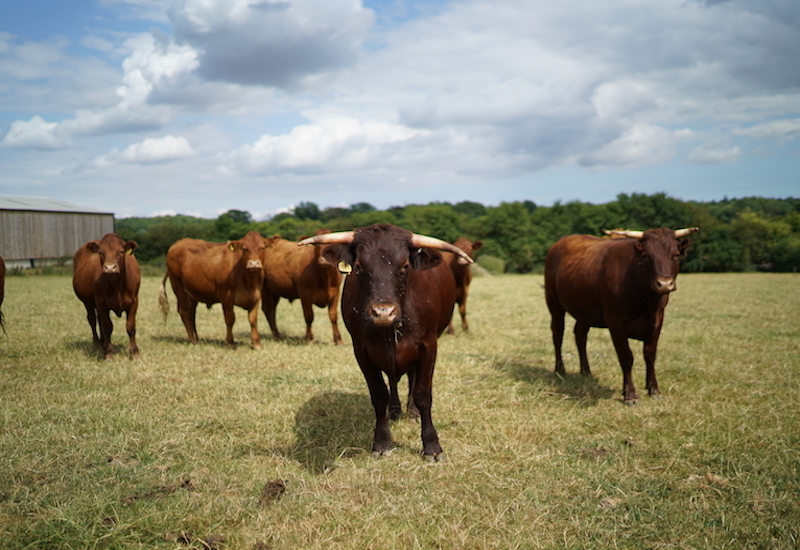 Learn more with Pact Coffee’s handy brew guides and discover Pact’s range of ethically sourced coffee at farmdrop.com. 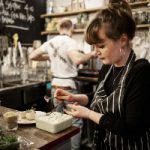 London Coffee Week runs from 12 – 15 April at The Truman Brewery, Brick Lane. Treat yourself to a Farmdrop KeepCup to help join the effort of diverting the 3.5 billion and counting disposable coffee cups from landfill. 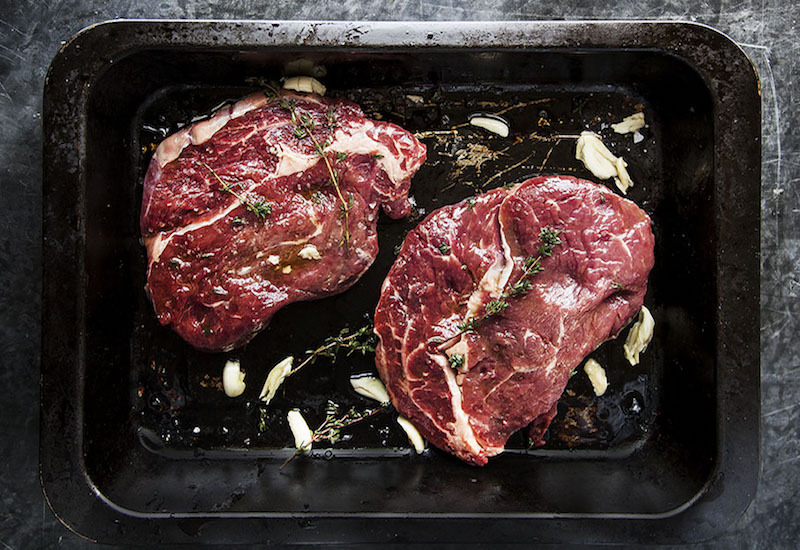 Find out why now is the best time for ethical food in Britain and visit our Instagram Stories for more coffee-brewing escapades.